I walked Distance: 2.20mi, time: 01:27:56, speed: 1.50mi/h. Dry and dusty in comparison to last time I walked this way. Even the dried out thistles were gone. 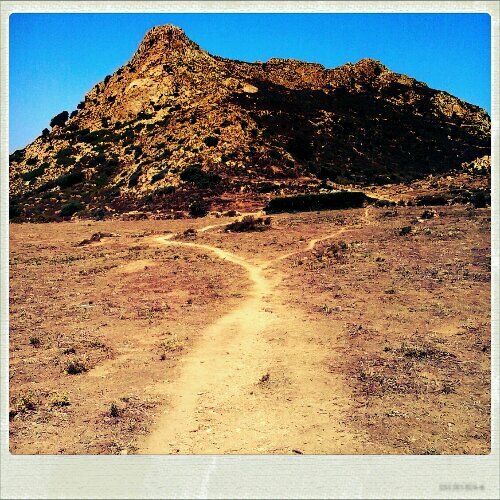 This entry was posted in Hiking, Travel and tagged Corsica, hike, holiday, summer, walk. Bookmark the permalink.